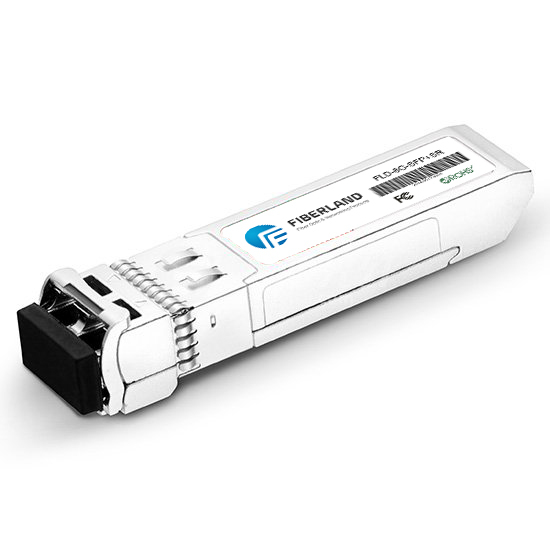 Single-mode fiber is mainly used in multi-frequency data transmission applications, usually using wavelength division multiplexing transmission mode (WDM,Wave-Division-Multiplexing) transfer mode after multiplexed optical signal only needs can be achieved with a single-mode optical fiber data transmission. Released in 2010, 100GBase-LR4, 2 1 a 1 core single mode fibers, core optical fiber at the same time multiplexed 4 wavelengths, each wavelength 25Gbps. Single-mode fiber transmission rate is higher than multimode fiber and transmission distances than multi-mode fiber up to 50 times more than and, therefore, its price is higher than the multimode fiber. Compare with multimode fiber, single mode fiber core diameter is much smaller, small core diameter and single mode transmission characteristics of optical signal transmission in a single-mode fiber will not be distorted pulses overlap. All fibre types, single-mode optical signal attenuation lowest rates, maximum transmission speed. However, single mode fiber requires the use of high cost of laser (LD) light transceiver, single mode fiber laser transceivers at least is 3 times more than multimode fiber optic transceivers, power consumption at least twice more than double. Conventional multimode fiber typically uses a serial transmission mode, in this mode to increase Ethernet transfer rate per-core fiber per-channel transmission rate must be increased. Serial Ethernet maximum transmission rate is currently 10Gbps/channels, IEEE is working on 25Gbps/channel 50Gbps/channel network standards, a case study of 400G Ethernet, 25Gbps/channel, 50Gbps/100Gbps channel 3 different versions, optical fiber core number need 32 cores/16/8-core, respectively. 400G Ethernet encoding used are NRZ,PAM4,DMT, more advanced encoding means that more complex circuits and power and thus cost more. Multimode optical fiber network transfer rates of another method is to use parallel transmission mode, that is, increase transmission rates by increasing the optical fiber core number. 100GBase-SR10 10Gbps/released 2010-channel transmission, 10-Channel 10 channel sent, total 20-core optical fiber. In the practical application in the past, choose multimode or single-mode is the most common determinant of distance. If only miles, the preferred model because LED transmitter/receivers are much cheaper than the single-mode laser needed. If the distance is greater than 5 miles, best single mode fiber. Another issue to consider is the bandwidth if future applications may include transmitting high bandwidth data signal, single-mode fiber is the best choice.